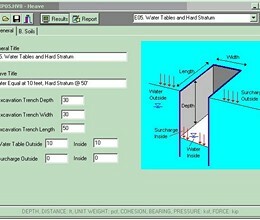 Heave is one of modules in Shoring Suite. It determines the stability of a vertical cut (excavation) in soft soils. Multiple layers, different water tables, and surcharge loads are taken into account. 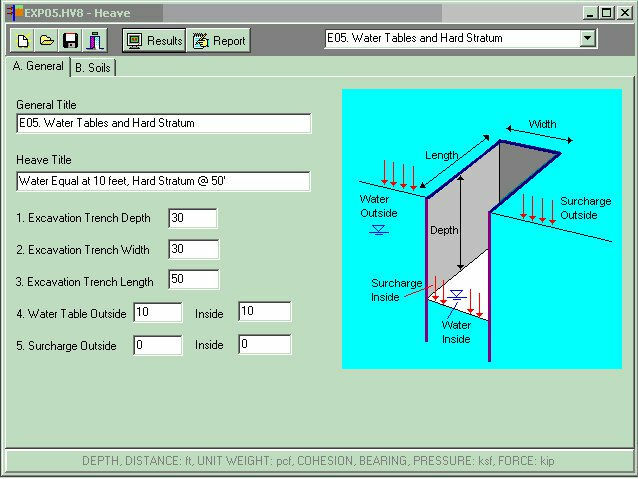 Heave can handle up to 5 different soil layers with surcharge loads and different water tables inside and outside braced cuts. If hard stratum is encountered, the failure surface can be automatically adjusted only through weak soils. Heave uses Terzaghi's method. The factor of safety will be calculated and the failure surface will be presented graphically. This program is also included in SHORING Suite. * Heave download link provides demo version of the software. No one has rated Heave yet. Be the first to rate this product.